The three brothers were touched by the warm welcome they received from the Patriarch himself, from Metropolitan Kirill, president of the External Relations Department of the Patriarchate of Moscow and from others in charge of this department. 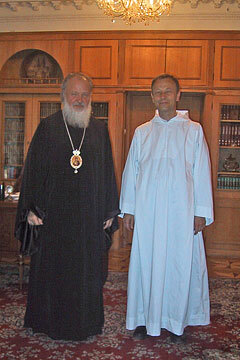 The Patriarch underlined the good relations that existed between the Russian Orthodox Church and the Community of Taizé. He recalled that he had himself visited Taizé and that he had met Brother Roger several times. 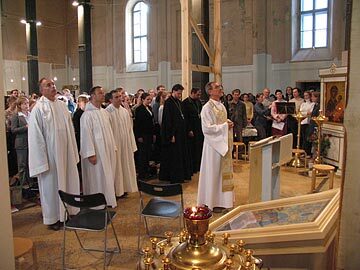 The brothers took part in the liturgy of the Ascension, presided over by Patriarch Alexis, and in celebrations in various other parishes. They visited several deeply moving places: Boutovo where in 1937-1938 more than 20,000 people were shot, and the place where Father Alexander Men was murdered. 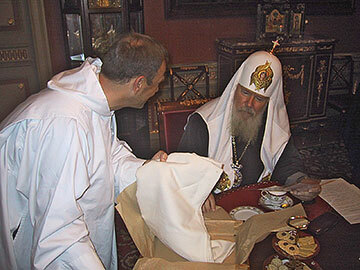 Their visit to the Theology Academy of Moscow at the Lavra of the Trinity enabled them to pray in the Cathedral of the Trinity, where the relics of Saint Sergius are venerated, and where the heart of Russian believers beats.